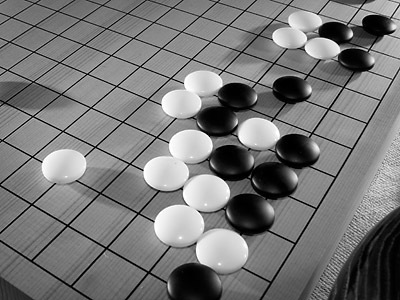 A friend of mine once showed me a Japanese anime which was about a board game called Go. I thought the whole concept just crazy, and definitely something that only Japanese could think of. I forgot about the whole thing, until much later when I was bored and couldn't think of anything else to do, so I typed "Hikaru no Go" to youtube.com. I was instantly hooked, and watched the whole series (75 episodes) in a week or so. A week after watching Hikaru no Go, I decided to try out the game myself. I went to Suomigo.net wiki and followed the links in the beginner's section to learn the rules. That evening I played my first game in KGS, in 13th September 2009. At the time of updating this I'm a EGF 2 kyu player, but that may have changed by the time you read this. Check out my pages below for more current info.